How far biotin treatment can be effective for diabetics? What are the benefits? What do the research studies say on this purpose? 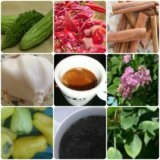 For example, in a study carried out by Japanese researchers, it was found that the higher the blood sugar levels, the lower the levels of biotin. They continued their study by giving a nine milligrams of biotin supplement to eighteen diabetics every day orally. At the end of 30 days, their blood sugar levels decreased to nearly half of their original levels. What is more, it has been shown that biotin could improve the diabetic condition by repressing the gluconeogenic genes. In fact these genes are responsible when it comes to producing glucose. In addition, biotin uses a pathway, independently from the insulin-signaling type to suppress the transcription factors. 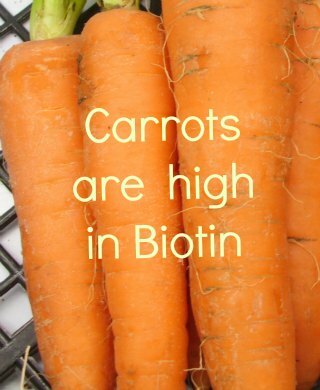 Where can you find biotin? 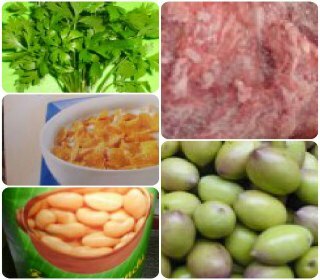 For your general information, the other scientific name of biotin is vitamin H. Its presence is crucial in metabolizing carbohydrates, fats and amino acids (the building-blocks of proteins). When it lacks, problems will occur, appearing in the skin, nails, or in form of neuropathies, commonly present in diabetics. The main source of biotin is the food you eat. 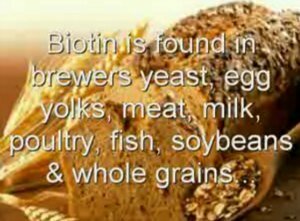 Brewer's yeast, barley, soybeans, barley,fortified cereals, peanuts, walnuts, milk, egg yolk, cauliflower, molasses are good sources of biotin. Your intestinal bacteria are also able to synthesize small amounts of biotin. What is more, your body may recycle biotin from bodily waste too. Another source could be B-complex multivitamins, which includes biotin. 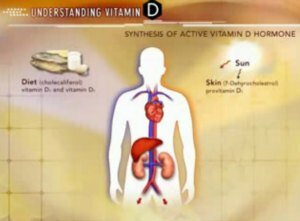 Or perhaps you may find it in some formulas, which contains either biotin, and other herbs and vitamins and minerals diabetics need most. Explore more vitamins And Minerals. What is the right dosage to get the biotin benefits? You may find biotin only in tablets of 10, 50 & 100 mcg. They are prepared as pure biotin or/and in combination with brewer's yeast. The daily recommended dose depends on the age and any other health problems a patient has. An average of 30 mcg/day has been set; however, no side effects or adverse interactions has been reported even in cases where biotin has been used in higher doses. In other words: Biotin is safe.